GameMill Entertainment today announced Nickelodeon Kart Racers, a new multi-player console racing game that features iconic Nickelodeon animated characters from SpongeBob SquarePants, Teenage Mutant Ninja Turtles, Rugrats, Hey Arnold! and more, as they race on 24 different Slime-themed tracks. 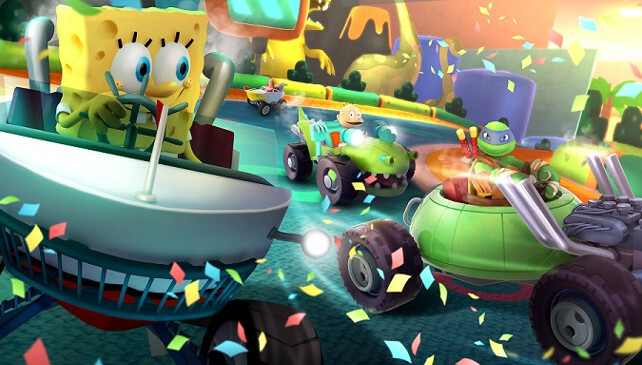 Nickelodeon Kart Racers allows players to compete as their favorite Nick character in four-player local multiplayer or battle mode to win cups and Kart upgrades. The brand new game is rated E for Everyone and will be available on all major consoles worldwide for holiday 2018. The game will be released for PlayStation 4, Xbox One, and Nintendo Switch.